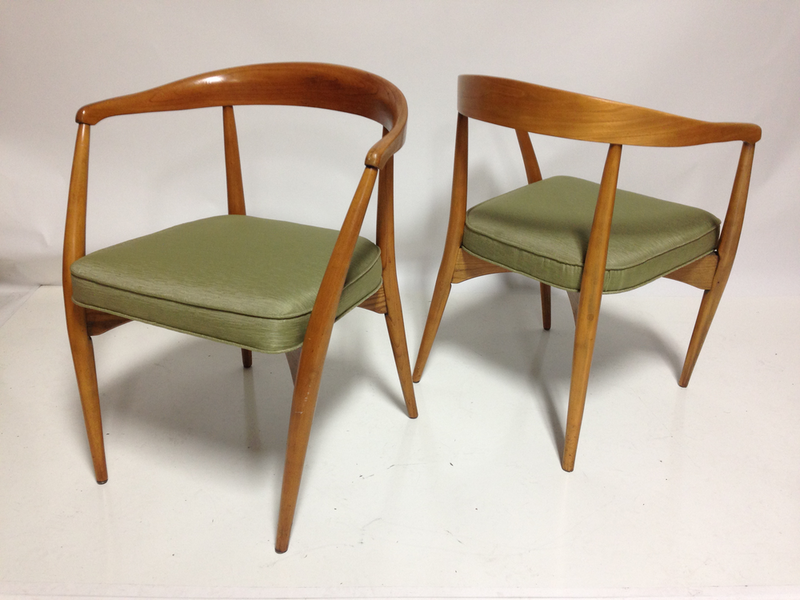 A curvaceous pair of vintage 60's solid wood frame arm chairs with upholstered seats. The curved solid oak backs extend into armrests for a comfortable and ergonomic feel, then gently curve as they reach the floor. Frames have been refinished and seats re-upholstered in light green mixed weave fabric. 30" high at top of backrest, 25" wide, 21" deep & 18" high at seat.